I Harassed three gay men in college because I didn't want anyone to know I was just like them. 1965-69. I got married to hide my sexual orientation. 1971. Los Angeles. Share your snippet of LGBT history! Do you have something you'd like young folks to know? 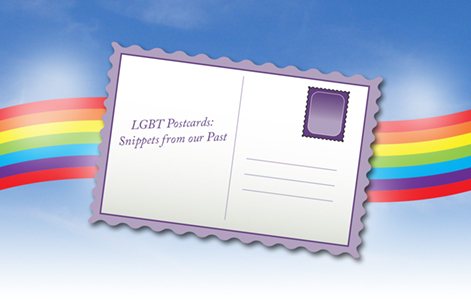 Otherwise, email your snippets to me at ronni@lgbtpostcards.com. With the collection of postcards, a quilt will be made using the postcards. A Book will be published in 2016 with the snippets so that our history isn't lost.